March 2014 – Love. Nourish. Heal. I spent the last weekend at my grandparent’s to get my mind more focused on final exams and not stress about all the crazy things going on Philly. It truly was a lovely time. We sat for hours talking about the synchronicity we have experienced in our daily lives and how easily it is to miss it. Its a remarkable thing when you are aware of these moments; it’ll completely reshape how you interpret every step you take. If you have never heard of tge term, synchronicity explains meaningful coincidences. They can be either large or small. Have you ever ran into your best friend when you two had made no plans to meet? Or were you ever thinking of doing something and then suddenly a person suggests it? You’ve experienced synchronicity. These moments may be small or large, but once you’re aware of its experience you’ll universe will shift. 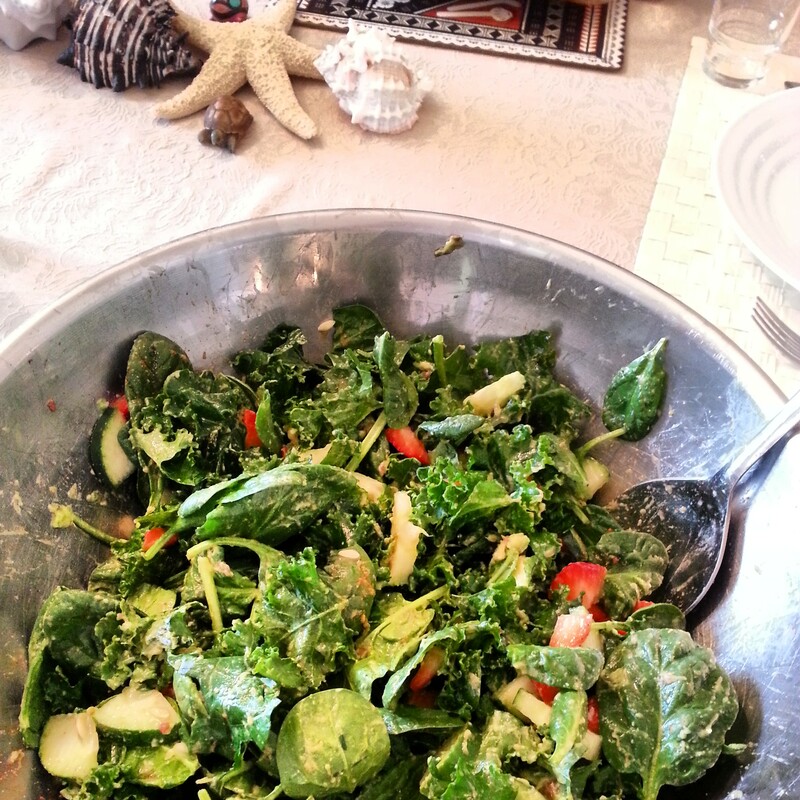 One of the meals we had during our conversations was this easy refreshing kale salad. 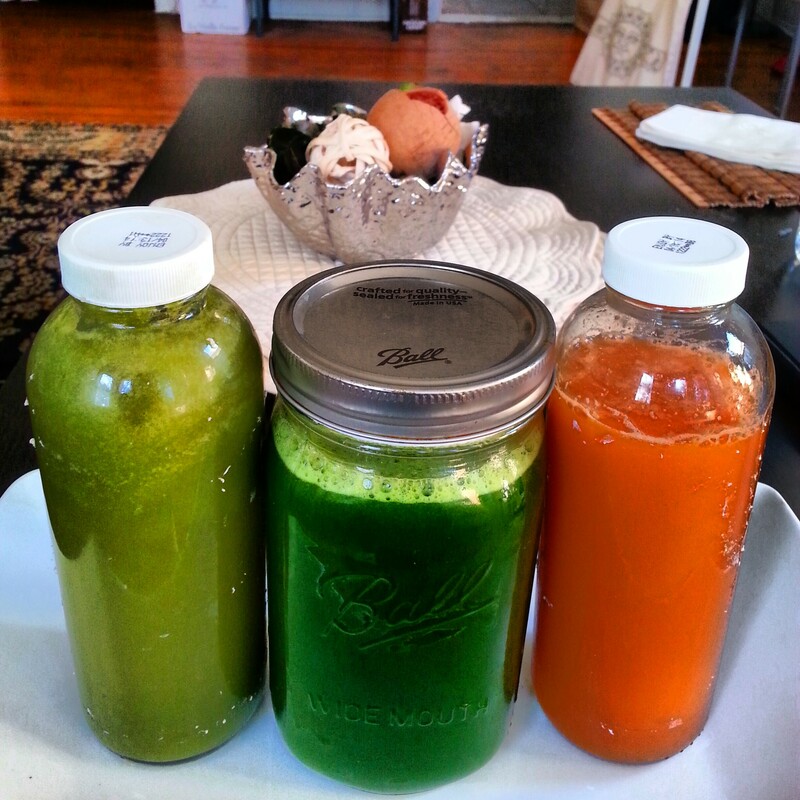 All you need is: Kale, avocado, strawberry halves, cucumber, lemon, onion powder, & paprika. In a large bowl, add the chopped kale, strawberries, diced avocado & diced cucumber. Squeeze the lemon over the salad and add the spices. Mix it up until the avocado has spread onto all of the ingredients. Serve it with the ones you love! Kale will always be one of my favorite ingredients to add to just about any dish I make. Whether that be mixed in with a falafel mixture or lightly blanched for a salad. Lately, I’ve been obsessed with eating extremely finely-chopped kale when I make it with grains to make the consistency equal. I like to place the whole raw bunch into the food processor for a few pulses before I combine it with quinoa, couscous or brown rice. 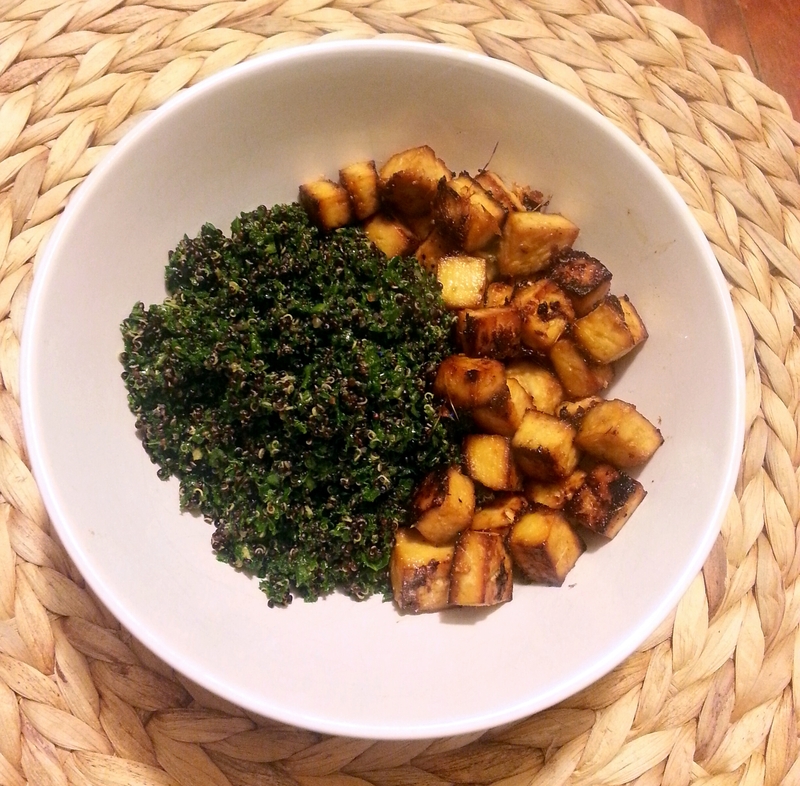 This recipe is a Garlic Ginger Roasted Tofu with a Black Quinoa Kale Salad. All you need is: Fresh garlic, fresh ginger, low-sodium soy sauce, rosemary, extra firm tofu (cut into cubes), black quinoa, kale, and lemon. In a food processor, blend the garlic, ginger, soy sauce & rosemary until the chunky parts are extremely small. In a ziploc, add the cubed tofu and the marinade. Let it sit in the fridge for 30 minutes, or overnight if you have time! Cook the quinoa according to your package instructions.Place the kale in the food processor until finely chopped, then add it to the quinoa. Squeeze lemon juice and add pepper to the quinoa salad. When you are ready to cook the tofu, place the marinated cubes onto a baking tray and bake at 375 degrees for 12 minutes, then flip the tofu and cook for another 10 minutes. Enjoy!